In the world of engineering, nothing matters more than the safety we provide both on and off site to our employees and clients. It is our policy to carry out business activities in a manner consistent with sound health, safety, and environmental management practices. 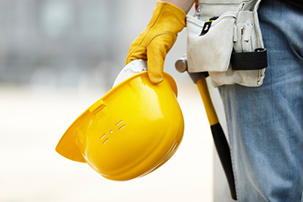 ConneXsys is committed to an incident and injury free operation and we are proud of our exemplary safety record. We also place the personal health and safety of our employees and their families first, and work to constantly build on the safety standards within our growing industry. Our Safety Record With safety as a top priority for all of our employees, we have maintained an impressive safety record, which acts as solid proof of not only our level of professionalism, but our belief in looking after our own. All clients of ConneXsys will benefit from our streamlined-project execution process.. Some of the engineering services offered by ConneXsys are; Civil, Electrical, Instrumentation, Mechanical, Piping and Structural. For project–specific designs and needs not mentioned here, please contact us directly.